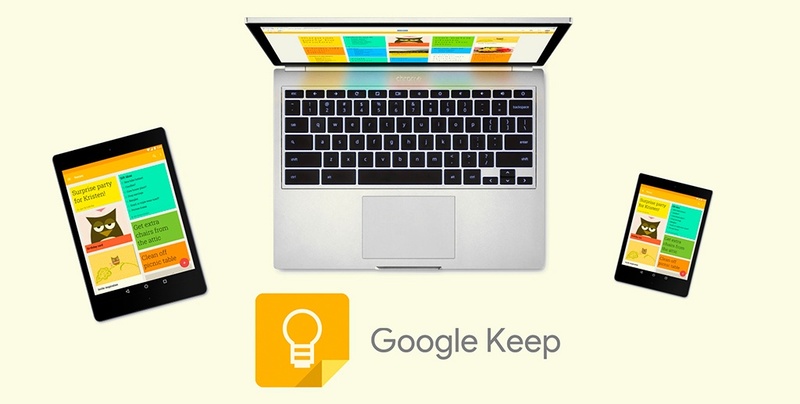 What Is Google Keep and How Can I Use It in My Classroom? The G Suite (or Google Suite) is ever evolving. Just over the past few months, users have noticed changes to the login screen, Google Sheets has had some cool upgrades, and there are a few new ways to share and collaborate on Team Drives. Because of this, the Google Apps can be hard to keep up with—they are numerous and some are easier to use than others. Google Keep is one of the many apps in the G Suite, but it isn’t one that pops up on the default screen, so it may not be known as well. It may take a little digging in order find all the bells and whistles to it, but I have found that it is a really useful tool. Format Like a Champ with These New Google Sheet Tricks! One of the best parts of the Google platform is that it is constantly improving and changing. I guess that is probably an opinion statement, as sometimes these changes can be frustrating—for example, when buttons move or formatting options come and go. This can be a headache, but overall, I feel the Google Suite options are much more robust than they were when I first started using them six year ago. For me, the really amazing part is that Google actually takes feedback, listens to it, and acts on it to improve the product. Not that novel of an idea, I know, but the speed at which they can move in doing so sets them apart from others in the tech world. I’m not a Google salesperson—it does have its limitations and faults—but as a lifelong learner, I love the challenge of always having to keep up to date on the latest format. There is no doubt that Google Apps is revolutionizing classrooms. This centralized platform of creation and collaboration makes group projects and teacher feedback easier. It also streamlines parent-teacher communication, making it easier to keep busy parents informed of their child's progress. Perhaps you have already integrated Google Docs and need ideas, or maybe it’s time to make use of this extraordinary tool. No matter where you are with the totally integrated paperless classroom, here are 25 hacks to start you off on your Google Apps journey. If we could offer teachers something that would save them time, save the school money, communicate better with students and parents, help struggling learners, and impact the learning environment for students...would they consider using it? I’m guessing they would. Our school district recently moved to the Google Apps for Education (GAFE) platform. Because I previously used GAFE, I knew the potential for improvement that this would bring to our school and our students. There is no doubt that Google Docs is revolutionizing classrooms. This centralized platform of creation and collaboration makes group projects and teacher feedback easier. It also streamlines parent-teacher communication, making it easier to keep busy parents informed of their child's progress. Perhaps you have already integrated Google Docs and need ideas, or maybe it’s time to make use of this extraordinary tool. 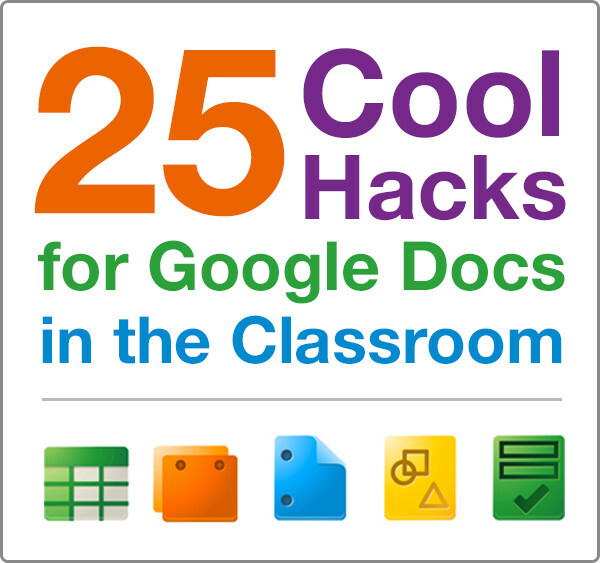 No matter where you are with the totally integrated paperless classroom, here are 25 hacks to start you off on your Google Docs journey.